The strangest looking rabbit you ever did see! The Adventures of the Strangest Rabbit You Ever Did See! When the brown sack flew over the Rabbits’ heads they could not imagine what or who was inside. Out came a very strange looking young rabbit with long legs and a funny tail. He said his name was Rubbish. This is the story of how Rubbish discovered that it’s not what you are but who you are that is important. 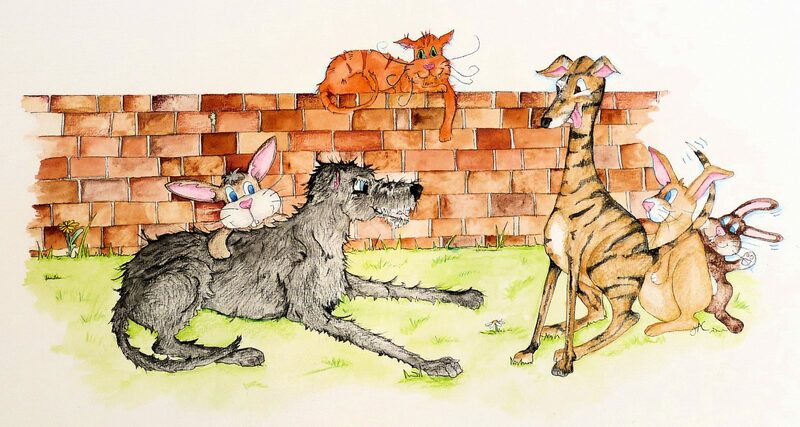 Along with the other rabbits, meet the incredible huge and hairy Finn, the Scottish Deerhound who lives in his secret garden, and his friend Jeffrey the brave though gummy, balding ancient and creaky marmalade cat. Together the three four-legged musketeers help Rubbish find out who he really is. But unknown to them all, out there in the deepest and darkest part of the woods something wicked is stirring. Only Rubbish and his friends can protect the Rabbits. 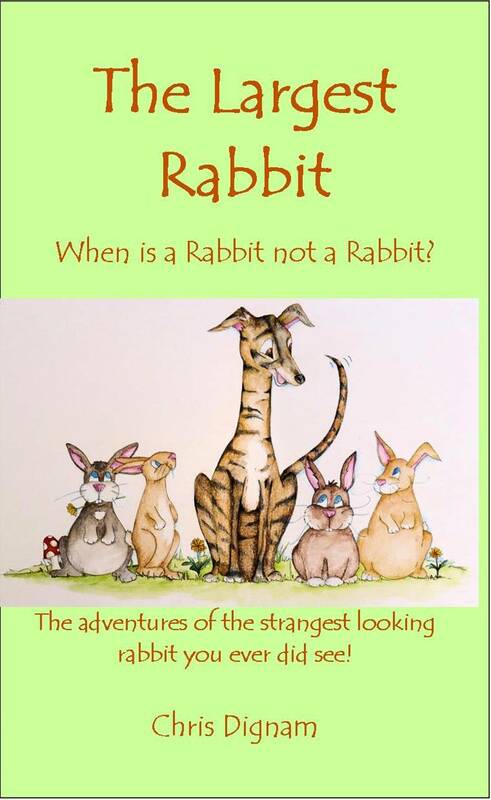 This book has a series of wonderful characters; it introduces us to the rabbits who find the little Rubbish and take him in. 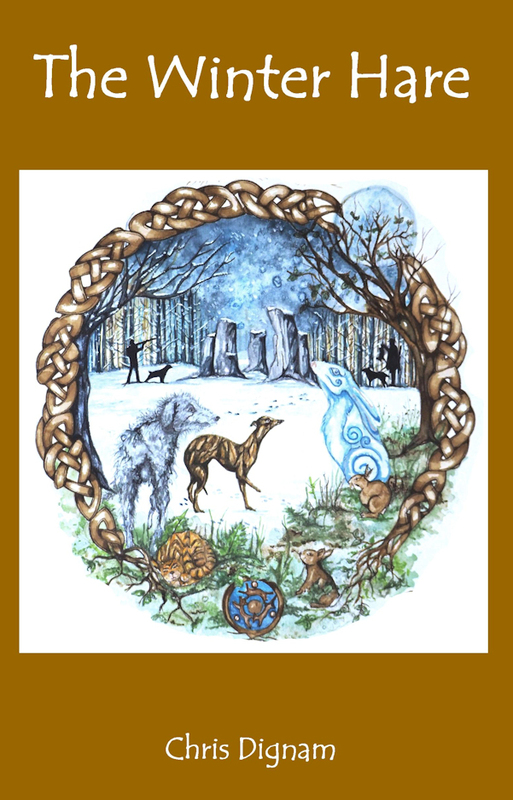 There are Scutter and Brownie and their brothers and sisters, and Bluebell and Bob, the Mother and Father who look after the Warren. 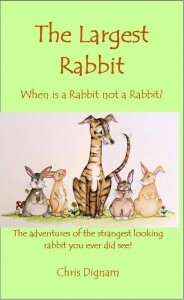 You’ll laugh when you hear Bob telling the little rabbits some of his tall tales and adventures. You’ll be on the edge of your seat when the little Brownie proves how brave a little rabbit can be. 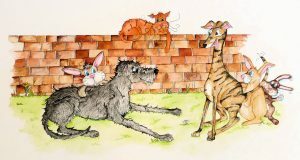 You will meet the noble Finn, the wise and gentle Deerhound, and the story of how Rubbish meets him will make you laugh. You will be amazed by his wonderful personality which pours off the page. The comic lead in this book is definitely Jeffrey, the ancient Marmalade cat. 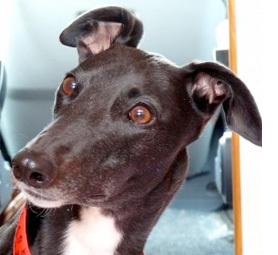 He is Finn’s best friend and neighbour who is always keen to join the fray….but has to put his teeth in first! Chris has said that he was the most fun character to write and he looks forward to developing the character further in future books. And then there is Rubbish the Largest Rabbit himself. 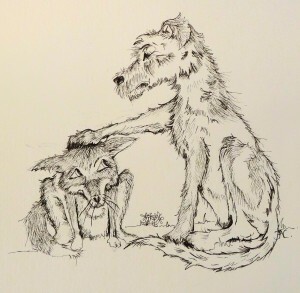 Abandoned, lost and alone, he is befriended first by the rabbits and then Finn and Jeffrey and together they help Rubbish to realise who he really is and that as long as you are loved it does not matter where you are from. 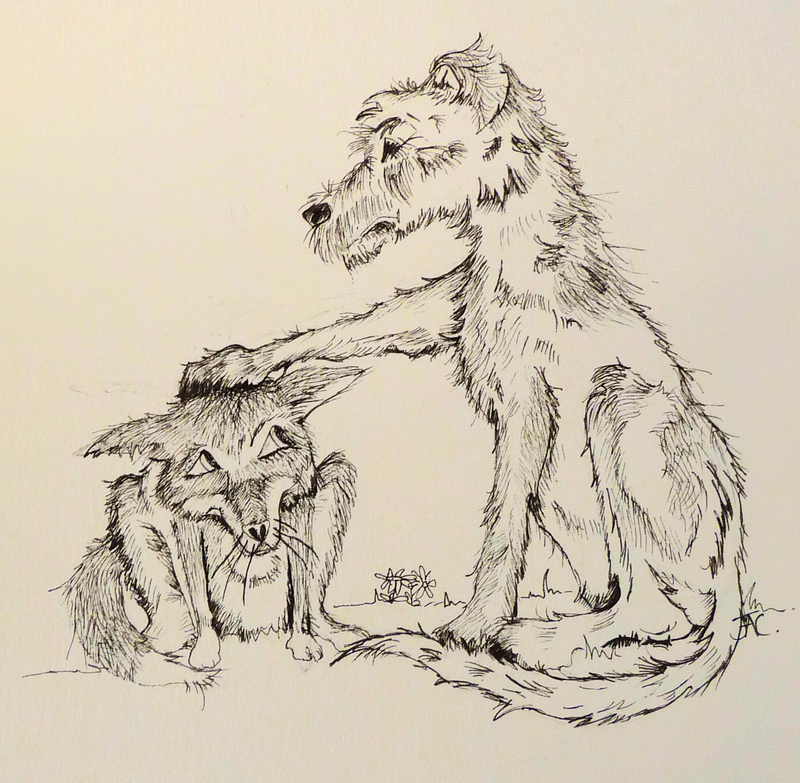 You’ll also meet the villains, the evil fox Max, scarred and mischievous, not one to be trusted, and the two weasels, Vic and Nev, Max’s henchmen, only too willing to do what their boss tells them. A terrific read, aimed at 8 – 12 years old but can be read to younger children and enjoyed by anyone who likes an adventure which will make you gasp and laugh and leave you with a warm feeling inside! Available from our shop here!